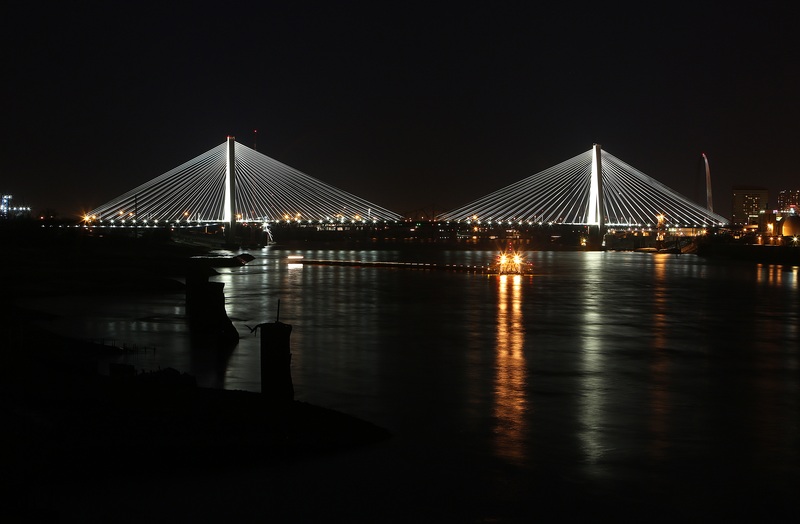 Illinois and Missouri DOTs joined forces to complete the $229.5 million Stan Musial Veterans Memorial Bridge – Mississippi River Bridge Project, a project to reduce congestion and improve safety for the St. Louis crossing. The project reduced delays and congestion for the nearly 120,000 daily commuters between St. Louis City, Missouri, and St. Clair County, Illinois. The two states worked together to create a phased approach in a cost-effective and efficient way. By using innovative concepts in the design and contracting phase, the project saved $12 million in taxpayer funds. Looks absolutely beautiful! Good job!